Michael Minnis studies the role of accounting information in allocating investment efficiently by both managers and capital providers. 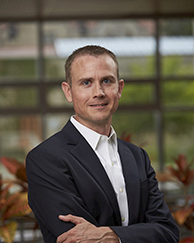 His recent research focuses on understanding the role of privately held companies in the U.S. economy and how these firms use financial reporting to access, deploy, and manage capital. He particularly enjoys identifying unique data and methods to empirically examine issues in a novel way. Effective January 2018, Minnis became a member of the Private Company Council, the primary advisory council to the Financial Accounting Standards Board on private company issues. In this role he helps FASB understand the effects of accounting standards on private companies and helps shape new standards as they relate to private companies. He has also been engaged in consulting projects, working with the investment bank Lincoln International to develop and launch the Lincoln Middle Market Index which tracks the value of private middle market companies. Prior to pursuing his PhD, Minnis worked in a variety of professional roles. He first started in corporate finance at Eli Lilly and Company, Inc. and later at Fitzgerald | Isaac, p.c. as a certified public accountant. Building on his knowledge and experience, Minnis went on to found Controller Associates LLC. His firm provided part-time controller and Chief Financial Officer services to start-ups, small companies, and non-profit organizations, as well as a variety of financial statement analysis and consulting services. He sold the firm to Milestone Advisors in 2006. Minnis received his PhD from the University of Michigan and his BS from the University of Illinois, where he graduated with Highest Honors. Vociferously encouraging my three kids while they play a variety of youth sports. My research interests include the use of financial reporting in mitigating information opacity issues of privately-held firms; the role of accounting information in allocating investment efficiently by both management and capital providers; and the interplay between management in the production and use of financial information. I particularly enjoy identifying unique data and methods to empirically examine issues in a novel way. Commercial Lending Concentration and Bank Expertise: Evidence from Borrower Financial Statements, with Philip Berger and Andrew Sutherland. Journal of Accounting and Economics. Forthcoming (2017). Economic Growth and Financial Statement Verification, with Petro Lisowsky and Andrew Sutherland, Journal of Accounting Research, Vol. 55, Issue 4 (September 2017): 745-794. The supplemental appendix for this paper is available here. Financial Statements as Monitoring Mechanisms: Evidence from Small Commercial Loans, with Andrew Sutherland, Journal of Accounting Research, Vol. 55, Issue 1 (March 2017): 197-233. The supplemental appendix for this paper is available here. Knowledge, Compensation, and Firm Value: An Empirical Analysis of Firm Communication, with Feng Li, Venky Nagar, and Madhav Rajan, Journal of Accounting and Economics, 58 (August 2014): 96-116. The supplemental appendix and data used in this paper are available here. A Measure of Competition Based on 10-K Filings, with Feng Li and Russell Lundholm, Journal of Accounting Research, 51 (May 2013): 399-436. The competition data used in this paper is available here. The Value of Financial Statement Verification in Debt Financing: Evidence from Private U.S. Firms, Journal of Accounting Research, 49 (May 2011): 457-506. Why regulate private firm disclosure and auditing?, with Nemit Shroff. Invited paper for the ICAEW Information for Better Markets Conference. Accounting and Business Research, Vol. 47, Issue 5 (2017): 473-502. Book Review of: "Speech Analysis in Financial Markets,"by William J. Mayew and Mohan Venkatachalam (2015). The Accounting Review, 90(1):395-398. Spillovers in Common Audit Markets, with Raphael Duguay and Andrew Sutherland, August 2017. Accounting Choices and Capital Allocation: Evidence from Large Private U.S. Firms, with Petro Lisowsky. December 2015. Investor Relations and the Flow of Information through Investor Networks, with Judson Caskey and Venky Nagar, April 2015.